The position is responsible for conducting comprehensive, cost-effective annual and capital fundraising campaigns within the territory of operation to support the 37 UNCF institutions. Reporting to the Regional Vice President of the Southern Division, the Regional Development Director is responsible for conducting comprehensive, cost-effective annual and capital fundraising campaigns within the territory of operation to support the 37 UNCF institutions and serves as an ambassador for UNCF. Creates a formal campaign organizational structure in concert with regional and national UNCF leaders. Plans and implements campaign strategies consistent with regional and national action goals and policies Identifies and recruits campaign leaders and advisory board members. Develops and submits solicitation proposals. Develops and prepares campaigns materials, communication/promotional programs in support of local fundraising efforts. Designs and implements special fundraising events. Manages regional office and Area Development Directors within assigned regional territory to ensure compliance with UNCF policies, procedures, rules, and regulations. Establishes and maintains close, direct contact with local corporations, government, community, church and civic leaders to ensure top volunteer leadership. Maintains current and accurate files on all donors. Conducts performance appraisals and recommends employment, termination, promotion, and training and development of subordinates. Supervises Area Development Director(s) and other professional and/or administrative level staff. Analytical – Collects and researches data; Designs work flows and procedures. Written Communication – Writes clearly and informatively; edits work for spelling and grammar; able to read and interpret written information. Visionary Leadership – Inspires respect and trust; mobilizes others to fulfill the vision; Provides vision and inspiration to peers and subordinates. Change Management – Develops workable implementation plans; Communicates changes effectively; Builds commitment and overcomes resistance; Prepares and supports those affected by change; Monitors transition and evaluates results. Managing People – Includes staff in planning, decision-making, facilitating and process improvement; Takes responsibility for subordinates’ activities; Makes self available to staff; Provides regular performance feedback; Develops subordinates’ skills and encourages growth; Solicits and applies customer feedback (internal and external); Fosters quality focus in others; Improves processes, products and services. ; Continually works to improve supervisory skills. Business Acumen – Understands business implications of decisions; Aligns work with strategic goals. Strategic Thinking – Develops strategies to achieve organizational goals; Understands organization’s strengths & weaknesses; Analyzes market and competition; Identifies external threats and opportunities; Adapts strategy to changing conditions. A Bachelor’s degree (B.A.) from four-year college or university and at least 10 years experience in fundraising, marketing or public relations. Masters degree preferred. Ability to read, analyzes, and interprets general business periodicals, professional journals, technical procedures, or governmental regulations. Ability to write reports, business correspondence, and procedure manuals. Ability to effectively present information and respond to questions from groups of managers, clients, customers, and the general public. Demonstrates ability to solve practical problems and deal with a variety of concrete variables in situations where only limited standardization exists. Ability to interpret a variety of instructions furnished in written, oral, diagram, or schedule form. Proficiency in Microsoft Office. Familiarization with fundraising database and software. Ability to conduct major fundraising activities, including capital campaigns and annual giving drives; excellent organizational and written and verbal communication skills; outstanding human relations and managerial skills; demonstrative initiative and ability to work with minimal supervision; and a working knowledge of Microsoft Office Suite. We’re on a mission to increase access to quality education. Want to help? Explore our job openings and join the team. What does UNCF do? 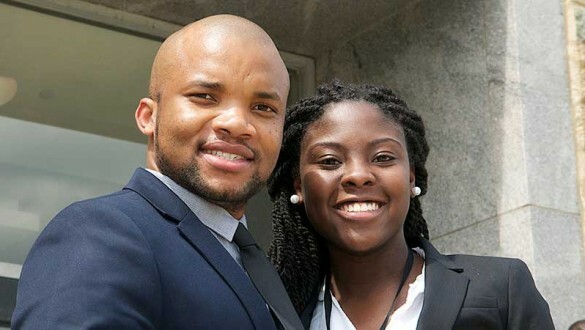 Why is it important to support UNCF-member historically black colleges and universities? Does UNCF provide internships? Why do we need more college graduates? What are the results of my investment in UNCF? These are just some of the frequently asked questions UNCF addresses.